What's the update with the best ROI for your rental property? Master bathroom overhaul? No. Kitchen gut and remodel? No. As unexciting as it sounds, Remodeling’s 2017 Cost vs. Value Report says loose fill fiberglass insulation for the attic is the number one upgrade. It’s not fancy, but luckily it's cheap, and homeowners can expect to earn 107% on their investment. For renters, insulation equals lower utility bills, but an attic full of fiberglass doesn’t seem too exciting when it comes to everyday life. Most would rather have new kitchen appliances! The demands of renters vs. the of practicalities of rental home ownership is the chief conundrum of the military landlord who knows his property needs work. Military landlords who are in business with not only civilians but military renters are constantly searching for the largest profit margin while accommodating for the aging of the property and rental market changes, among other financial factors. Military homeowners also have to consider if they ultimately plan to move back or if there is a reason to sell sooner than later. It the property remains a rental, you'll want to attract the best renters--tenants who are reliable and good stewards of the property. Quality candidates are enticed by the extra amenities of a rental property and aren’t satisfied with just the basics. They're looking for the same updates and conveniences that home buyers desire. As a general rule, if you would want the comfort factor in your own property, your tenants probably feel the same way. If your budget is limited, focus on these renter-pleasing upgrades and clean-ups. 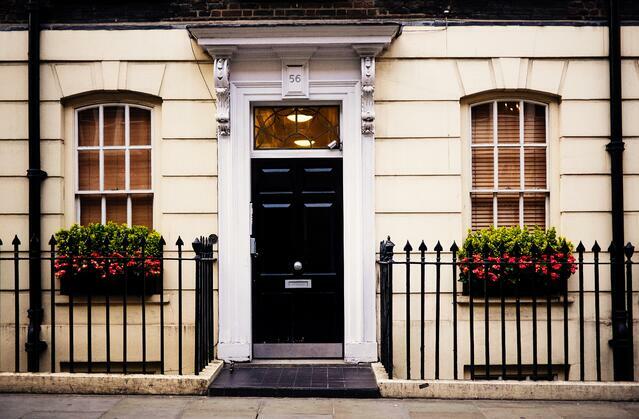 Front Door and entry: A new door system provides instant security and curb appeal. Both are qualities renters are looking for, especially if it's low maintenance. Functional doorbells and a new mailbox are cost effective details. Landscaping: In competitive markets, renters are searching for aesthetics because they’ll likely not be there long term and don’t have homeowner type concerns such as the age of the roof. Simple details like stationary planters for seasonal displays on the porch are simple to recreate each season. Decorative fencing and low maintenance shrubbery also increase the overall look of the landscape. Exterior clean-up: If the siding is covered in mildew and a rotten old shed takes up space in the back yard, renters will pass by. A thorough cleaning is one of the most impactful projects a homeowner can accomplish on limited funds. Don’t forget to pay attention to the decking and/or porch spaces. They require seasonal care. Kitchen cabinets: There are multiple ways to refresh kitchen cabinets. A complete paint makeover from a professional company ranks highest for durability and quality, but DIY versions will buy a few more year’s use if done well. The option to replace only the cabinet doors and hardware is a cost savings, as is removing doors completely from some of the cabinets to provide open shelving. Overall décor: Dated paint colors and bare space where architectural details like crown molding could improve the space are relatively easy to install. Classic light fixtures (drum shades, pendant drop lights, or simple chandeliers) provide the best results for the investment dollar. If you feel like the house you’ve been renting to tenants will become your forever home in the near future, investing in more expensive upgrades makes sense. Or, if your local market can support a higher rent per month, more costly remodeling justifies the increase. Privacy fence: You’ll find a new pool of rental candidates with the installation of a privacy fence. Not necessarily just for pet owners if your property doesn’t happen to be pet-friendly, but because kids should have a safe place to play. And in the suburbs, it’s nice to drink coffee in your PJ's without the neighbors noticing. Wood floors: A minuscule number of renters are looking for carpeted floors. The idea of many years of multiple families staining the carpet is the ultimate in yuck on the gross scale. Additionally, cheap carpeting has to be replaced more often. Expect low cost carpeting to last not more than five years, maximum. 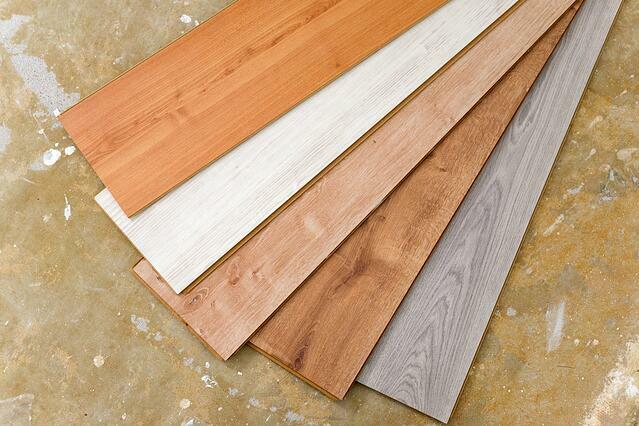 Wood flooring, even the manufactured, less expensive type, is far more desirable and durable. Bathroom: If the bathrooms are severely dated, then a major bathroom overhaul is going to be your best bet. Water efficient toilets and showers are great places to start, but the paint and tile should be addressed as well. In master suites, double vanities with non-laminate counter tops are highly desirable as are entryless shower stalls. Timeless look: In both bathrooms and kitchens, maintaining timeless back splashes and paint choices (neutral colors and subway tile are two popular options) are non-negotiables for a perpetual rental property, if you want to attract and keep the best renters. Kitchen: Appliances are the easiest place to invest money in the kitchen. Outdated appliances are expensive to repair, often requiring more money than a new version. They also are unpredictable and dangerous if gas leaks or fire hazards are a result of wear and tear. The older the kitchen, the more likely it has an ineffecient "footprint." An interior designer may need to be called in to make the most of the space, which often includes the removal of walls. More storage is never a bad thing to have, and adding a closed pantry is an enviable addition to a remodeled kitchen. Exterior finishes: Vinyl siding, paint, or an upgraded porch are certainly some of the most desired components of the collection of charming features renters are looking for. Quality finishes increase the value of your home and also encourage renters to maintain the look. Most renters want to live in a home that doesn’t look like a rental property. Your neighbors don’t want the house to look like a hands-off landlord owns the house, either. Cosmetic and structural updates are part of a wise landlord's budget for upkeep of the property, but rental life always has unexpected circumstances pop up. For guidance, MilitaryByOwner is the perfect resource for both first-time and more experienced military landlords. Click below to download MilitaryByOwner's free ebook for landlords!